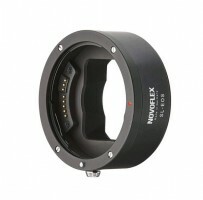 X-Rite ColorMunki Photo – Take your vision to color perfection with ColorMunki Photo. As a photographer you know perfect color is essential. But with today's complex digital imaging workflows, getting colors to match between devices can appear to be a challenge. Stop wasting ink, paper, and valuable time with trial and error color correction, and enjoy the benefits of precise color from the beginning. ColorMunki Photo – software and hardware color control solution provides the functionality to calibrate your monitors, projectors and printers, so the color you see on screen is the color you get in print. The hardware device is completely integrated and the powerful, self-guided ColorMunki Photo software offers two modes: easy and advanced. Select „match my printer to my display“ and you'll be completely guided through the profiling process for both your display and your printer. Or you can easily jump right to display, projector or printer profiling. The ColorMunki Photo all-in-one spectrophotometer is the only device you need. Intuitive RGB and CMYK printer profiling technology delivers a high quality profile in a fraction of the time. 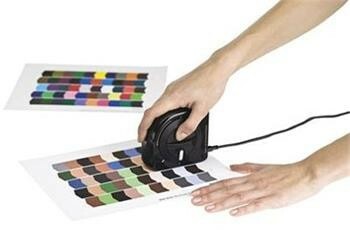 Simply scan one 50-patch test chart, and your X-Rite ColorMunki Photo software will learn the color behavior of your printer. It will then dynamically generate a second chart of 50 patches. Print and scan this second chart and your profile is generated! ColorMunki Photo software is so smart it even has the ability to optimize your profile based on images for specific colors, black & white, flesh tones, etc. Not sure what to do with your profile after you create it? No worries. 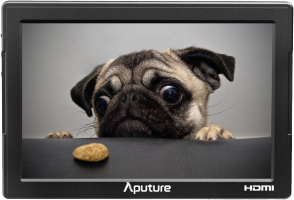 With AppSet™, ColorMunki Photo software talks with your photo and design applications – including Adobe® Photoshop® CS3, Adobe® InDesign® CS3/4, QuarkXPress® 8, CorelDRAW® Graphics Suite X4, and Corel® Painter™ – and integrates them automatically. Let your artistic side go wild with X-Rite ColorMunki Photo!